FugginSuggin.com: Arrest Quotas? Innocent People Being Arrested? Nooo, Really? Arrest Quotas? Innocent People Being Arrested? Nooo, Really? A recently released story quotes an NYPD officer who makes the claim that he has a quota for issuing 20 summons and carrying out 1 arrest per month. If he does not make his quota, the officer states that his overtime requests, shift requests, or days off could be affected. The officer claims that this quota system results in innocent people being ticketed and arrested on occasion. Sorry for the sarcasm in the subject heading, but it should be known to readers of this site's overwhelmingly negative opinion of our country's policing system. 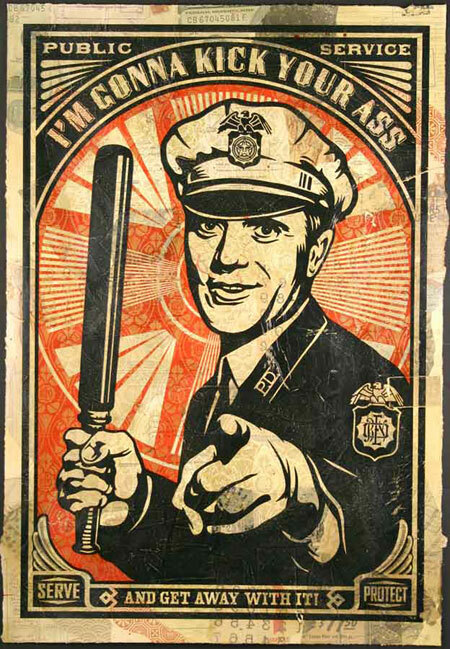 Police Departments across the country are businesses attempting to flourish in our capitalist economy, trying to maximize profits, regardless of who is hurt by such profit-maximizing efforts. You gotta give the NYPD credit in issuing citations for the violation of real statutes. It is much better than what was done in Dallas last year, issuing citations for "not speaking English."